Participants will begin painting right away and will learn in a “hands on” way how to handle and apply paint with a variety of tools. 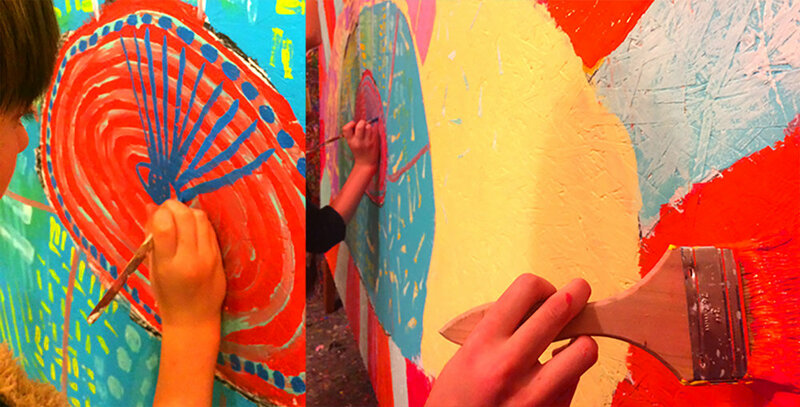 Through the mural process participants will be learning relevant vocabulary and ways to effectively communicate about color and the elements of design. When useful, we will employ digital tools to aid us in the design phase as well as social media as a way to share and document the mural process and everything we accomplish. Every participant will be able to make their mark, and..
every participant will have the opportunity to sign the finished piece. 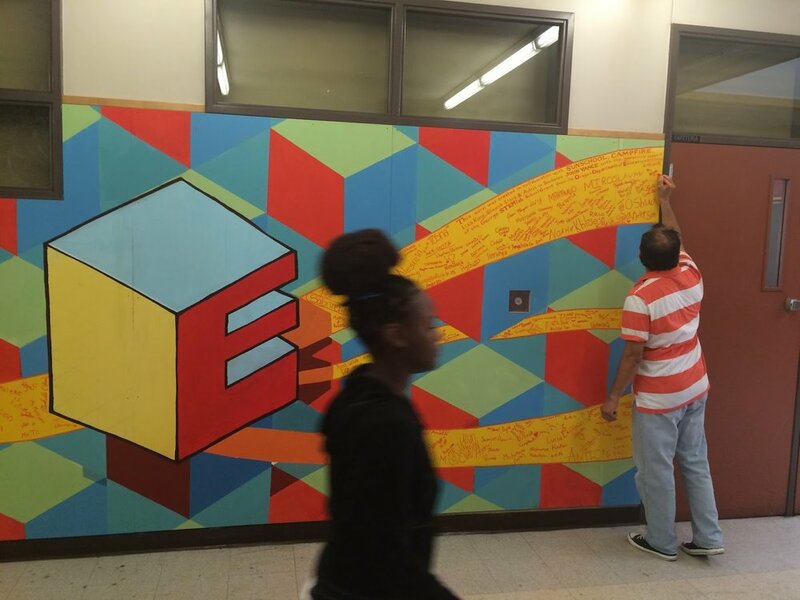 Once the mural is complete, it will stand as a visual reminder of what we can accomplish together. 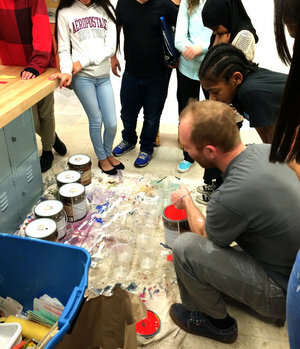 As well as creating my own work and taking commissions, I also work as an art educator in collaboration with youth programs to bring positive and meaningful collaborative art-making experiences to schools and other youth learning centers through the creation of unique collaborative mural projects with students and faculty. I will work with your school or organization to create a custom collaborative mural curriculum that matches your specific schedule and needs. Not only do these projects provide opportunities for building self-confidence, communication skills, self-expression and a sense of empowerment to those who participate, they also leave behind a visual legacy for the school and community to appreciate into the future. SEND ME A MESSAGE TO SET UP A FREE CONSULTATION!